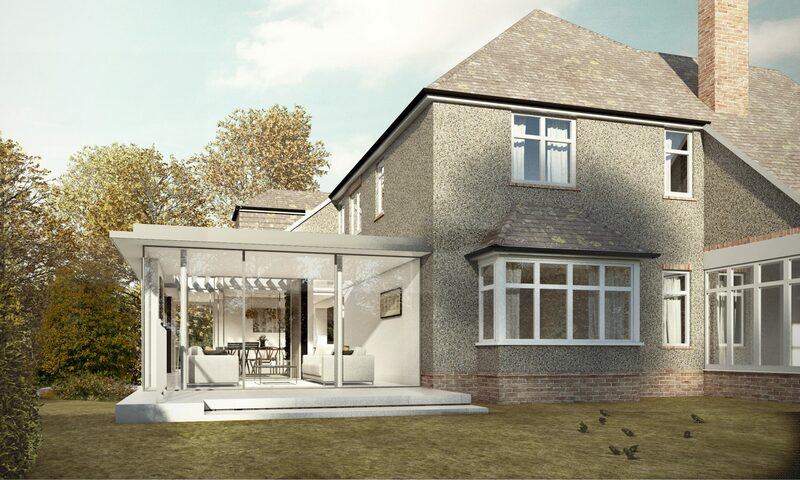 Re-Format has been granted planning permission to add a contemporary pavilion to a dwelling in Farnham, providing new living and dining accommodation separated by a pergola element. 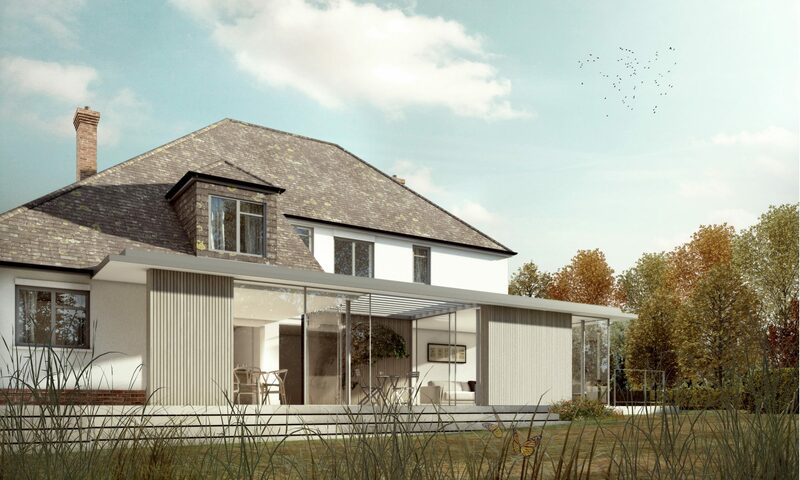 The highly glazed pavilion enhances the relationship between the house and its mature gardens, which are referenced by the slatted timber panels. 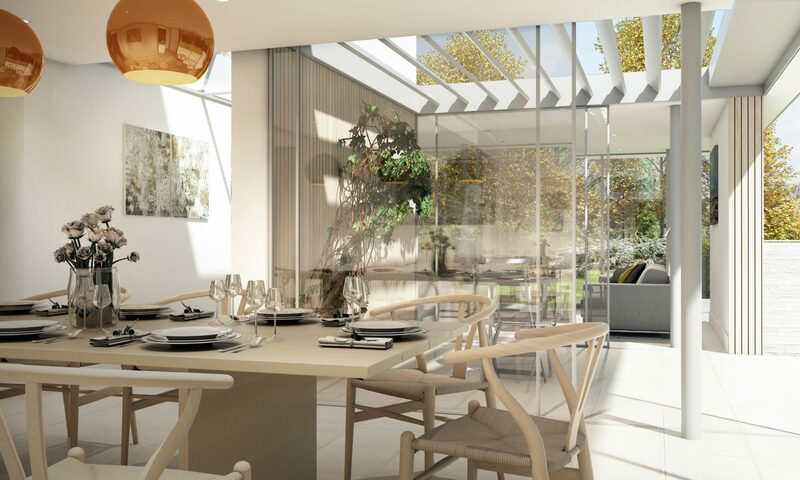 The external dining blurs the distinction between house and garden is blurred even further.